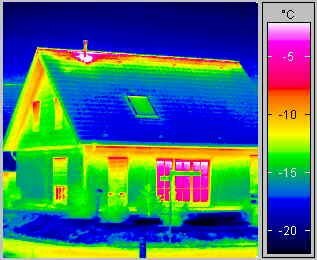 Home » Knowledge Base Articles » Why it’s important Level 3 Thermographers are used for BREEAM Thermal Surveys? Why it’s important Level 3 Thermographers are used for BREEAM Thermal Surveys? It also allows our engineers to develop inspection procedures and severity criteria for our clients, as well as interpreting relevant codes, and manage a client based thermography program, including overseeing and providing training and testing, and calculating the return on investment for the program. Our Level 3 thermographer’s have the ability to provide quantitative data. This involves utilising accurate temperature measurement and temperature criteria to grade or assess the severity of exceptions. One benefit of this type of inspection is that it allows our thermographer’s to take into account the load on the building envelope at the time of the inspection, the equipment type, and classification as well as changes in ambient operating conditions. It also allows thermographer’s to identify problems that aren’t presenting as exceptions. We hope this information has been helpful. If you require a BREEAM Thermal survey our professional and certified Level 3 Thermographer’s will carry out your thermographic Inspections for BREEAM compliance in accordance with all necessary standards and current regulations. 1. A temperature differential between internal and external areas of the building/s of at least 10°C must be created. 2. Ensure all heating systems within the building are operational. 3. Ensure the external building envelope is free from direct solar radiation for at least four hours. 4. No precipitation either just prior to or during the survey. 5. Building surfaces to be inspected are dry at the time of the survey. 6. Average wind speed to be less than 10 mph. All we need are a few details such as floor plans and elevation drawings and the building location to provide a quotation. We will also send across our informative Thermal Survey Checklist to help you prepare for the thermal survey.